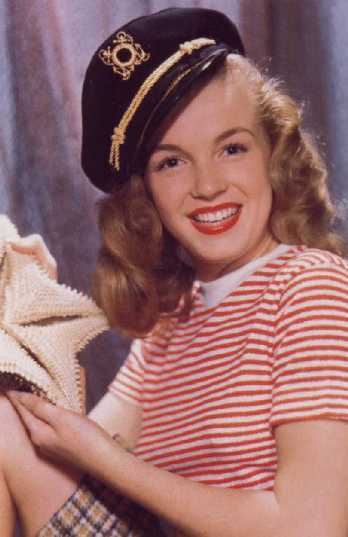 This one's a picture of Norma Jeane taken by "Bernard of Hollywood". I think it's really cute. Don't you agree? 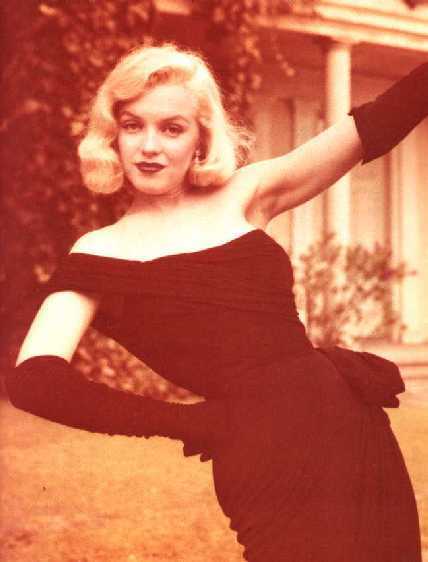 I think she's still Norma Jeane at this point. 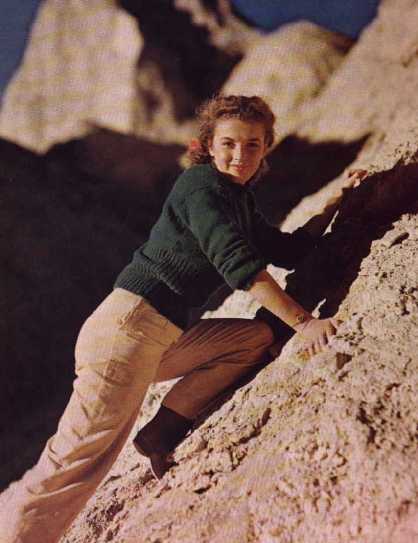 I once saw a khakis ad with this picture and it said "Norma Jeane wore khakis." I thought that was cute. 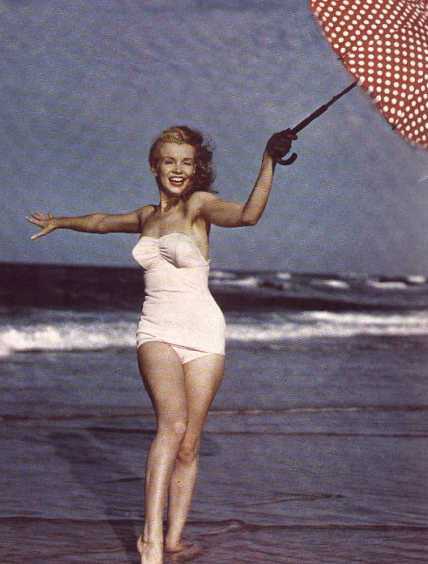 She's already Marilyn by this time. It was taken by Andre DeDienes at Jones Beach in New York. I think it's really pretty. Here she is with co-star Rand Brooks in a publicity shot for Ladies of the Chorus (1948). Here she is again in Ladies of the Chorus (1948). This one is the first picture I ever got of her. Ladies of the Chorus is a great movie! I love her numbers in it! Here she is again in Ladies of the Chorus (1948). This one is from the "Every Baby Needs a Da-Da-Daddy" number...she look so perfect in this one...her face looks like a doll...she was so gorgeous! 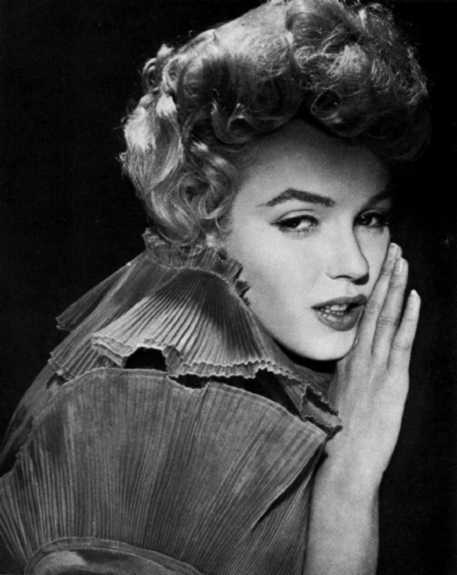 Here's one taken by Frank Powolny (the guy who took Betty Grable's famous pin-up) in 1950 for Twentieth Century-Fox. This is from 1949, around the time of MGM's The Asphalt Jungle (great movie by the way). This is actually one of my favorites. Here's a publicity shot for Niagara. Niagara is just a great movie! She looks so perfect throughout the whole movie! This is a sweet one. She wearing one of her costumes from Niagara in it. Did you know that since she was just still a contract player for Fox at this time she got paid less than her make-up man for this movie! 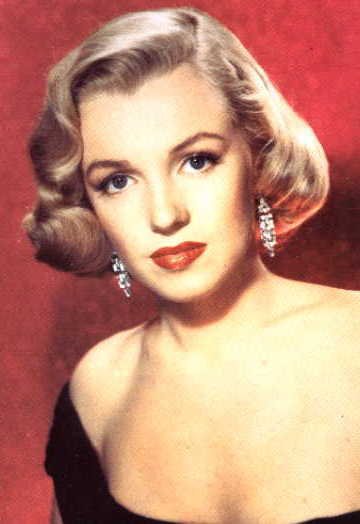 Here she is gorgeous again around the time of Gentlemen Prefer Blondes. I love those earrings she always wore around this time! Here she is with Jane Russell and the rest of the stars of Gentlemen Prefer Blondes. One of my very favorite movies. Lorelei Lee with Dorothy Shaw looking very happy as she discovers a new place to wear diamonds. Here she is at the end of the "Diamonds are a Girl's Best Friend" number. I love that scene...that's another song I memorized all the words to! This is another one taken by Frank Powolny in 1953. This is another of my very favorites of her. This is from How to Marry a Millionare (1953). This scene is so cute! 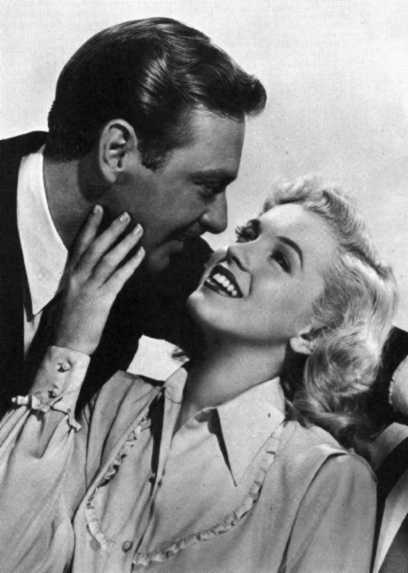 Marilyn and David Wayne. 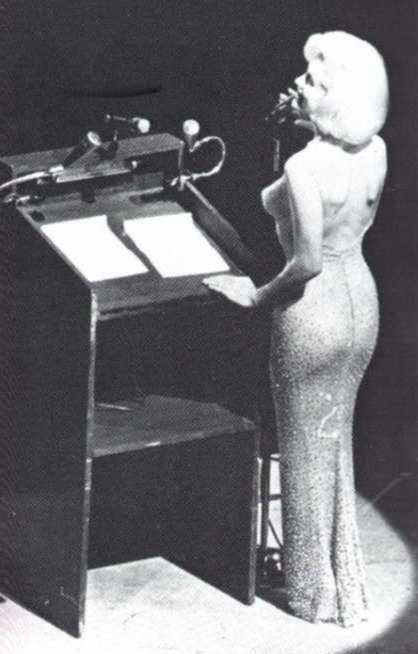 Telecast September 13, 1953 Marilyn makes her TV debut. Here she is backstage on the Jack Benny Show. This is around the same time. It's the 2nd picture I ever got of her. Walter Winchell's birthday party. Here's Marilyn with Darryl Zanuck, Betty Grable, Lucille Ball and Walter Winchell. Marilyn and Betty's husbands were both out of town for this event so the two of them went as each other's dates! 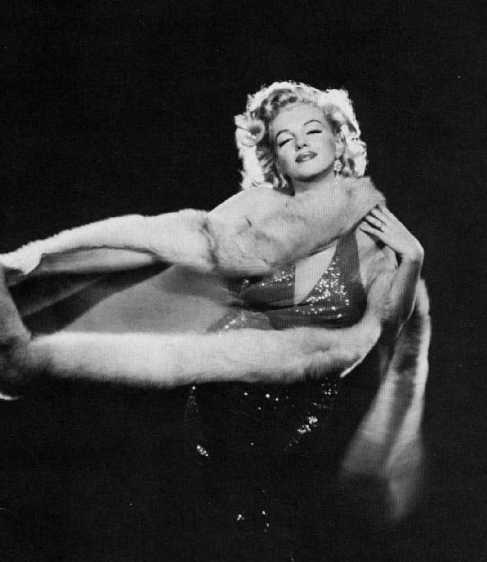 Here's Marilyn in a scene from River of No Return (1954) It's an OK movie. 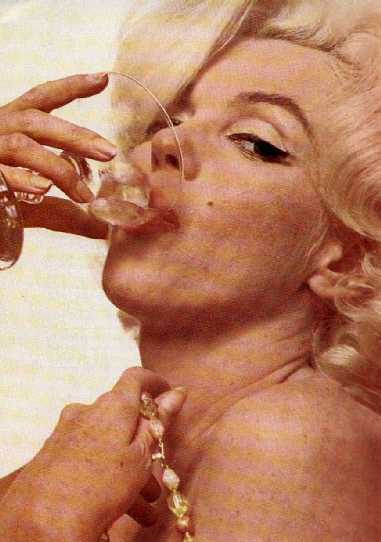 I just like it for Marilyn. I think this one's so cute! I have another one from this session with her standing up...she really had an hourglass figure! During the Heat Wave number in There's No Business Like Show Business. She only agreed to do it with the agreement that she would do The Seven Year Itch next. On the set of There's No Business Like Show Business. Another movie I fastforward to Marilyn's scenes. 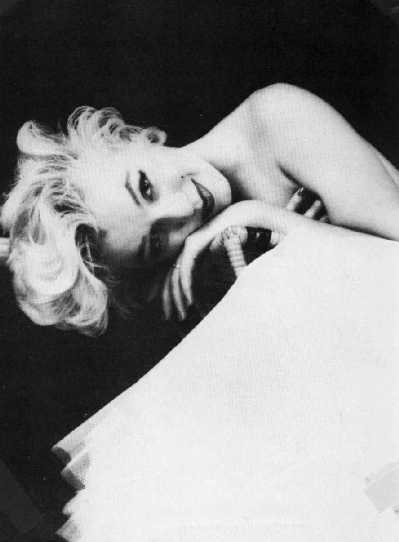 But I have seen the whole thing...but I think Marilyn's the only worthwhile thing in it. The "Skirt Scene"! 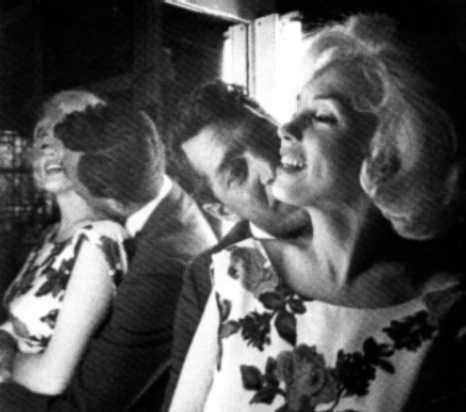 Marilyn and everyone else seems to have been having a GREAT time...all except Joe DiMaggio. 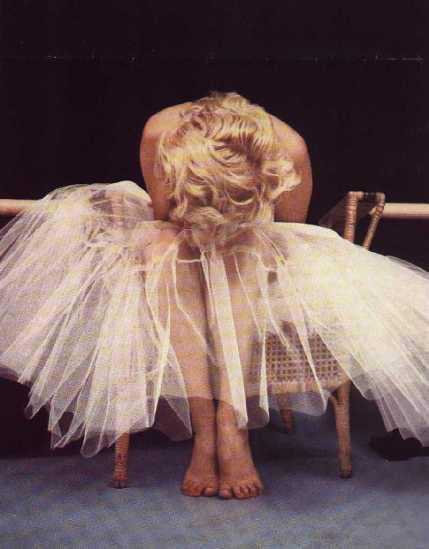 Another shot from The Seven Year Itch (1955). 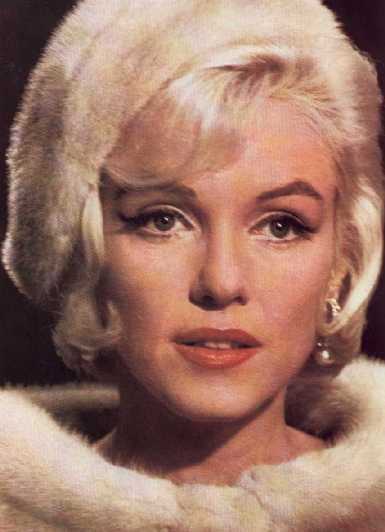 This is another of my first pictures of Marilyn. This one and the next one are 2 of my very favorite pictures of her. She looks so gorgeous looking out over the city. Another from the same session. One of my very favorites. One of my first pictures of her. This was taken by Sam Shaw. He died not too long ago. This picture is HUGE (not the scan)! Another of my first pictures of her. I'm pretty sure this is by Sam Shaw too. 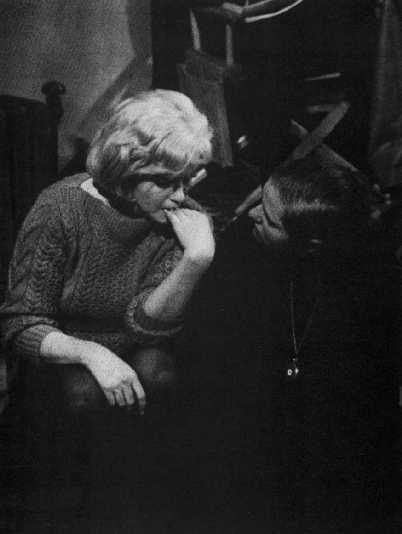 An on the set candid with her then husband Arthur Miller in the background. This a studio portrait for The Prince and the Showgirl. I just love this picture!!! Don't you? Vivian Leigh was originally supposed to play Marilyn's part of Elsie Marina opposite her husband. This one isn't actually a picture. It's a birthday card! My friend gave it to me for my birthday this year. Another Prince and the Showgirl shot. This is another of my very very very favorite pictures of her. The Prince and the Showgirl was originally supposed to be called The Sleeping Prince. This one's so pretty!!! The Prince and the Showgirl again. That movie is one of my very very very favorites. She's so hilarious in it! I think this is from The Prince and the Showgirl too. This is such a beautiful picture! This picture was taken by Sam Shaw. 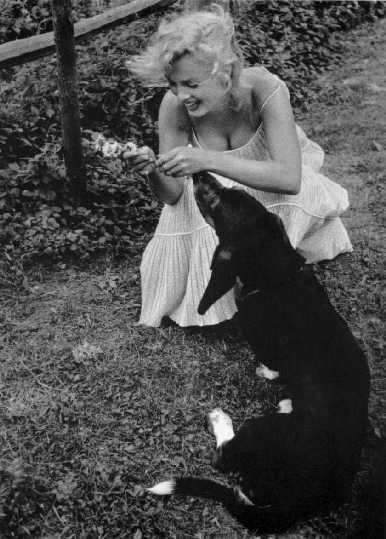 It's Marilyn with she and Arthur Miller's dog Hugo. She loved animals! 1959. 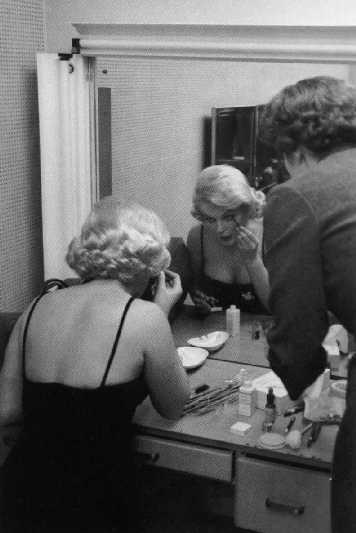 Here's Marilyn making up for a photo session at Chicago Tribune Studio in Chicago, Illinois! On the set of The Misfits. Another of my very favorite pictures of her. It's so beautiful! With would-be co-star Dean Martin for Something's Got to Give. When she was fired from the movie Dean Martin refused to do the movie with any other actress. In costume from Something's Got to Give. At first she didn't want to wear that hat Jean Louis had designed for her. But she came to really like it because she wears it to many of her last public appearances. Costume test for Something's Got to Give. At almost 36 (this was probably taken only a couple of weeks before her birthday) she still looks more like 23 huh?. Singing Happy Birthday to President John F. Kennedy. Just a couple of days before her birthday. Jean Louis designed that gown. 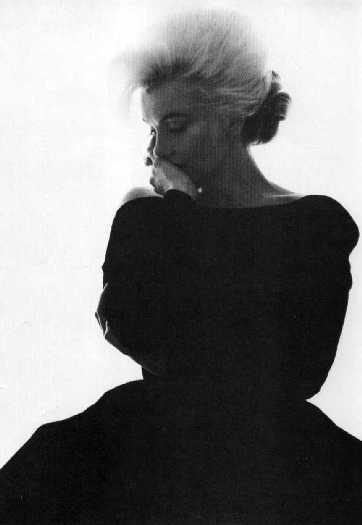 Taken by Bert Stern. One of the last pictures taken of her. 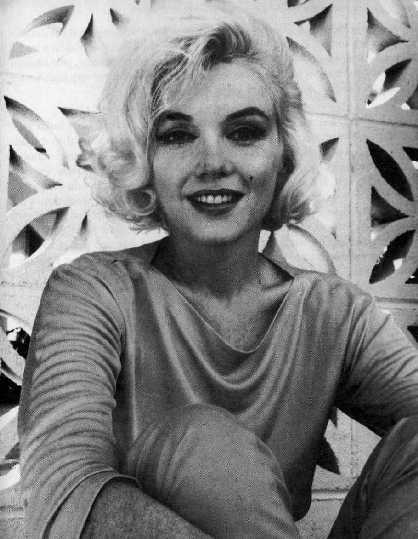 Taken by George Barris. Also one of the last pictures taken of her. It's so beautiful!